One of the first descriptors that Google predicts when you search “Cowboy Bebop is” is “bad.” Another is “overrated.” Despite the cult classic anime’s now near-legendary status, the first few jarringly paced episodes are decidedly underwhelming for many — including myself. But after finishing the show, I felt both emotionally filled to the brim and drained, something I really couldn’t afford during midterms season. “Cowboy Bebop” creeps up on you like that. This spring marks the anime’s 20th anniversary. “Cowboy Bebop” follows a band of outcasted misfits in the year 2071— Spike Spiegel, Jet Black, Faye Valentine and Ed — all burdened in varying degrees by past trauma as they travel aimlessly through a colonized solar system. With no central government to control crime, the Inter-Solar System Police, or ISSP, places bounties on criminals — who are then hunted by bounty hunters (who are also referred to as “cowboys”) like our crew on the Bebop spaceship. Since its release, the show has influenced prominent artists of various media, ranging from director Quentin Tarantino — who draws from “Cowboy Bebop” most notably in his violent film, “Kill Bill: Vol. 1” — to comedian Robin Williams and author Orson Scott Card. What is it about “Cowboy Bebop” that has made it so influential and lastingly relevant that it still sparks debates over interpretations on blogs, YouTube videos and Reddit threads? Part of the show’s piercing cultural power is due to the melding of seemingly opposing elements. It is in these various oppositions that the meaning and originality is found. From its large framework of genre to its themes to its characters, rarely has a show been so boldly contradictory yet unified its diverse elements so well that the show feels new. 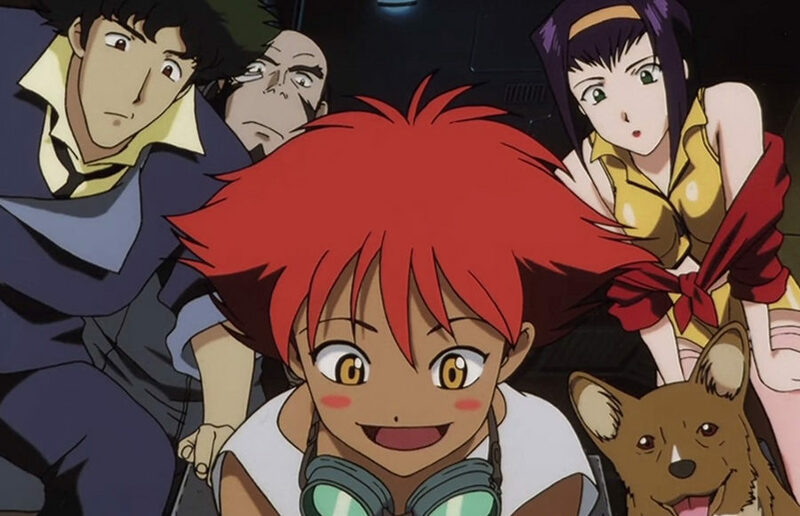 If you were to mention “Cowboy Bebop” to someone who is familiar with the show, they would likely mention two aspects of it: its genre and its soundtrack. The synopsis implies the presence of sci fi, crime and Westerns. Jazz, rock, country, funk, blues and ballads synthesize, as do the varied cinematic genres, into something new altogether. Consequently, the show is able to explore a wider emotional spectrum, and to capture more nuanced states of being than is possible for shows that conform to a single genre. Some episodes are goofy and laugh-out-loud funny — an episode featuring the crew tripping on shrooms is accompanied by the appropriately upbeat track “The Egg and I” and the jazzy “Mushroom Hunting.” Both songs compliment Ed’s wacky gestures and energetic personality. In other episodes, such as when both Faye and Ed chase the false hopes of their pasts, the tone is exploratory and melancholy. The waltz-y piano solo “Pitiful Faye (Lip Cream)” and yearning “Call Me Call Me” leave the viewer feeling bruised. And still others, notably “Pierrot le Fou,” frightening for its depiction of a human experiment gone wrong and Spike’s lack of fear of — and perhaps even desire for — death, are unmistakably horror noir. This creation of harmonious order out of chaotic and disparate cinematic and musical elements supports the larger question of chaos and order that the show explores: Do chaos and order coexist? Predictably, our protagonists deal in chaos — chaos in vast, lawless space, where evil is done for the sake of evil, where senseless pain pervades, where the Bebop crew vulnerably floats in what is essentially a tin can and where the universe’s indifference has never been more apparent. Yet, there is also a strange order to how events unfold. When the criminal pursued by the crew turns out to be Jet’s ex-love’s boyfriend, Jet has to come to terms with and move on from that facet of his past. There seems to be a cosmic balance in the ways characters’ lives intersect, despite the show’s existentialist message. Another consistent, conflicting theme is the fusion of, and divide between, past and present. The protagonists are unable to let go of and move on from their respective pasts, constantly retreating from the present and being pulled into their memories. Because of this, none of the characters have a traditional story arc — a hero’s journey à la Harry Potter — through which they grow and transform. The show doesn’t seem to strictly follow the conventional route of fixing the protagonists, complete with a cathartic coming-to-terms with the past for both the crew and the viewer. Instead, the show focuses on gradually unpacking how the protagonists became the way they are and how their pasts impact the development of their family-like unit. In this sense, the closest the protagonists have to a character arc is the evolution of their relationships with each other. And therein lies the tragedy and allure of “Cowboy Bebop.” Each member deserts the crew in pursuit of an irretrievable past — some permanently, some temporarily. By doing so, they sacrifice their relationships with each other, and the crew eventually disintegrates. This is particularly devastating for the show’s fans, as the dynamics of the crew are one of the most, if not the most, moving aspects of the entire show. It is through this tragedy that the central contradiction of the show is revealed: Within a premise that necessitates the devaluement of human connection is a story about the beauty of human connection. Initially, the protagonists’ profession of being bounty hunters seems to dehumanize most of the characters they interact with. Yet, it is the protagonists’ own murky, criminal pasts that allow them to empathize with the people they hunt. In many episodes, the crew doesn’t receive the bounty, instead choosing to show mercy to those whose pasts are also riddled with mistakes that are brutally catching up to them. It’s the brief, fragile moments of understanding between the hunter and hunted — Jet asking for the senile Chessmaster Hex to be left in peace rather than cash in on him, or Spike fulfilling Glen’s last request to die in space headed toward Titan — that depicts the transcendent and redemptive power of human connection and gives the show its soul. It’s a soul that many shows lack. When contained in the body of innovative genre and music and contradictory themes, it becomes clear that “Cowboy Bebop” is a show that has aged uncommonly well.